The wards live about 3 miles from the beach. Katrina’s storm surge sent about 9 feet of water into their home. 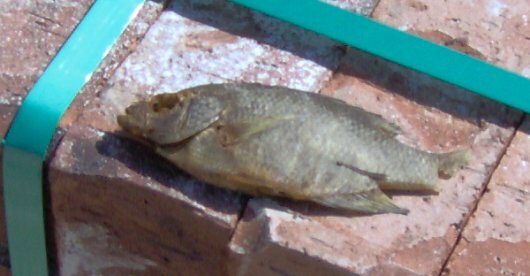 When we pulled the waterlogged sheet rock from the ceiling, this fish fell from the attic.